CROSS Counter has won the 2018 Melbourne Cup, in a race marred by the death of Irish galloper The Cliffsofmoher, which was injured inside the first 600m. 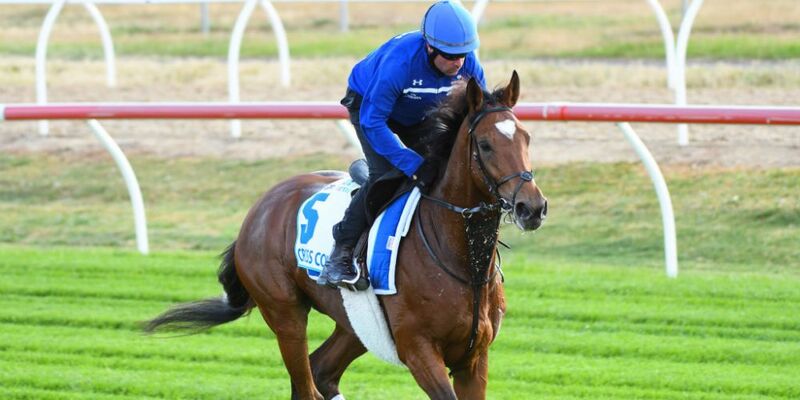 Cross Counter’s win was the first Cup triumph for the famed Godolphin stable, who had never won Australia’s greatest race in more than 20 attempts. The Cliffsofmoher was put down after suffering a fractured right shoulder. “Our thoughts are with animal lovers across the country who have been affected by this loss, and confronted by the very real risks posed by racing to the horses involved,” RSPCA Australia spokesperson Jane Speechley said. “RSPCA Australia has long voiced its concerns about the welfare of racehorses, including the use of inhumane devices such as whips and tongue ties, as well as the risk to injury and death during races. “Today’s tragedy is a stark reminder of the risks these horses face every time they run, and highlights that behind the gloss and glamour of Cup celebrations there is a dark reality. “In that field alone, horses were hit with whips several hundred times at least, with the highest number of hits occurring in the final 100 metres, when they are already tired.